There are no comments for Piedra River. Click here to post the first comment. 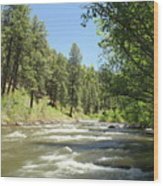 Long known for its fishing, whitewater rafting, and its wild, remote beauty, the Piedra River drains out of the great Weminuche Wilderness Area to the north and flows into the Navajo Reservoir in southwestern Colorado. 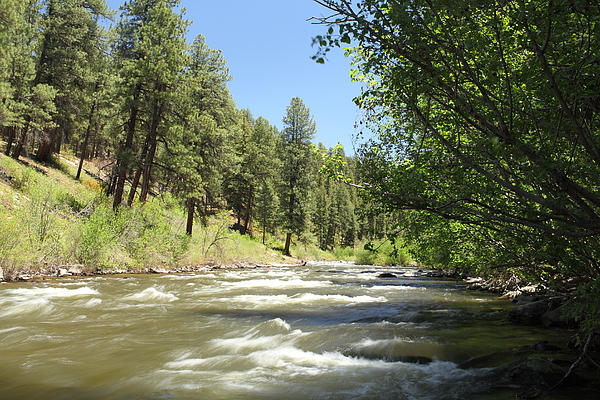 On a brilliant spring day just begging for a hike, I explored along a portion of the river that courses through some of the most beautiful old-growth ponderosa pine forest I've ever seen. 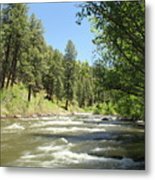 I don't know which will stay with me longer: That thrilling, thundering river swollen with spring runoff - this, in a state that's as parched and drought-stricken as Colorado is - whose sights and sounds never get old, or . . . . . . the intoxicating scent of those magnificent trees living on its banks. Piedra River San Juan National Forest Colorado United States Copyright � Eric Glaser. All Rights Reserved.